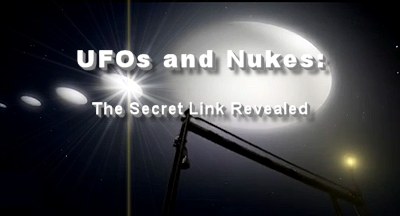 These persons’ testimony makes clear that UFOs have exhibited a longstanding and ongoing interest in American nuclear weapons sites—missile silos, bomb/warhead storage depots, ICBM and bomb-detonation test areas—extending from the late 1940s to the present day. Indeed, thousands of declassified U.S. Air Force, FBI and CIA documents confirm the reality of the situation. I look forward to seeing the rest of Robert's production as soon as he finds a vehicle to host his documentary. Just from the trailers that is provided I will say that his stock footage is commendable. Though I'm in disagreement with the Nukes and UFO theory, especially the Malmstrom stories, Robert appears to have surpassed the disappointing production that was provided by the Discovery Channel (Canada) series a couple of years ago. Of course this being based solely on the provided trailers.